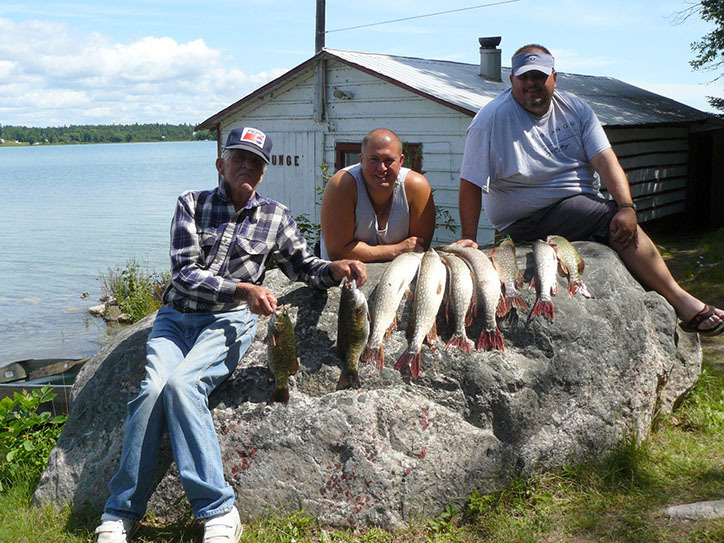 Plan your Northern Ontario fishing trip in the Algoma District at Bruce Bay Cottages on Lake Huron. We have a fish cleaning stall for your convenience with freezer space available for your catch. Fish pictures caught by guests at Bruce Bay Cottages. 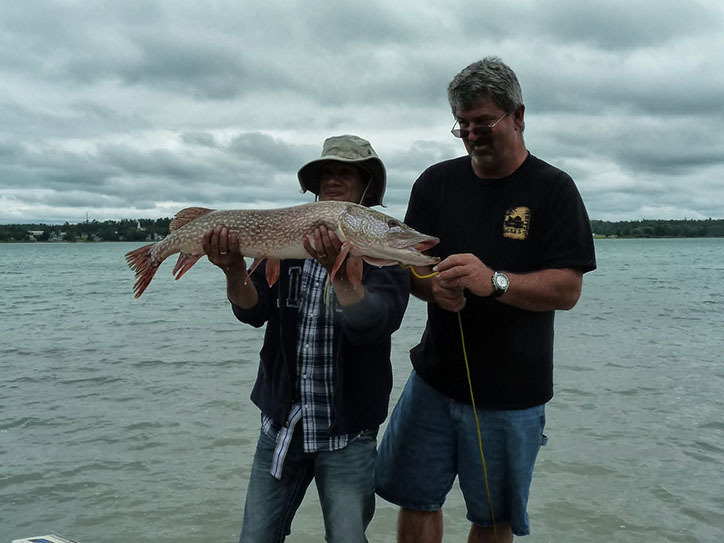 The North Channel of Lake Huron offers fishing opportunities for northern pike, pickerel (walleye), large mouth and small mouth bass, salmon and whitefish. Fishing and hunting licenses plus all your fishing needs are available at Jerry’s Live Bait and Tackle. They also rent motors by the day or week. 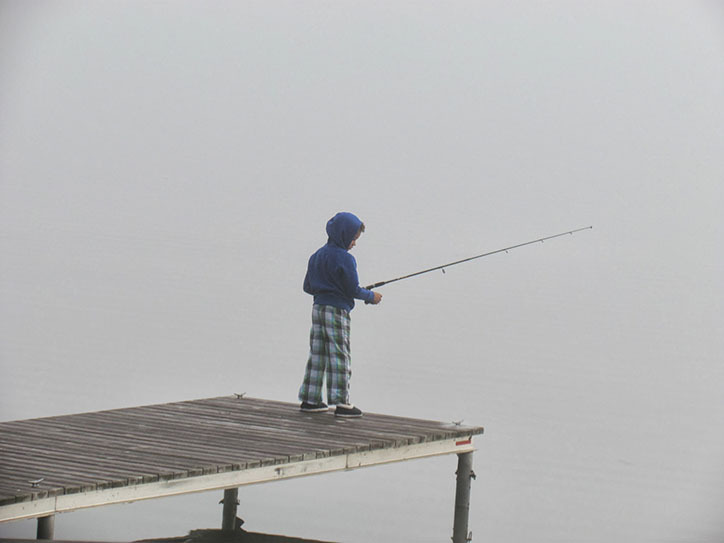 Always consult the current fishing regulations of Ontario for accurate and detailed information. 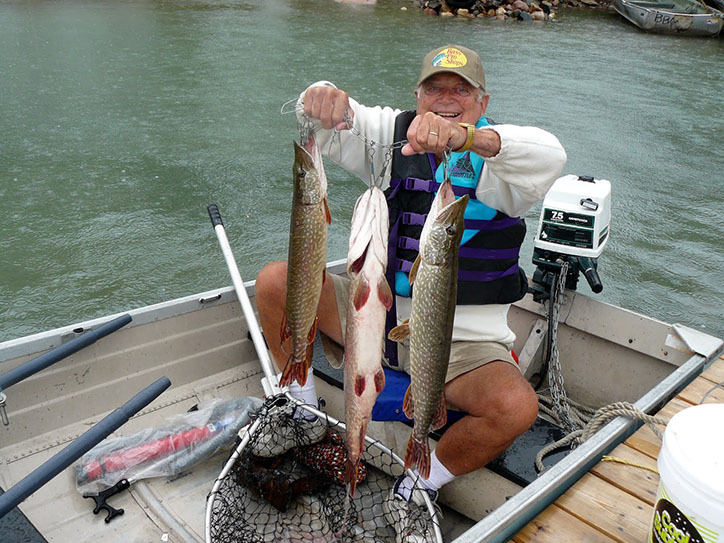 Book a Fishing Guide for your fishing adventure. Check out our local guides, Tyler Dunn at www.tylerdunnguiding.com or Adam Valee at http://www.anglingalgoma.com or find Greg Rykman on facebook. 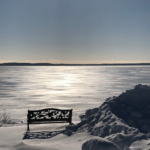 Consult the current, accurate and detailed information about the Ontario Fishing Regulations and licence requirements for the province of Ontario. 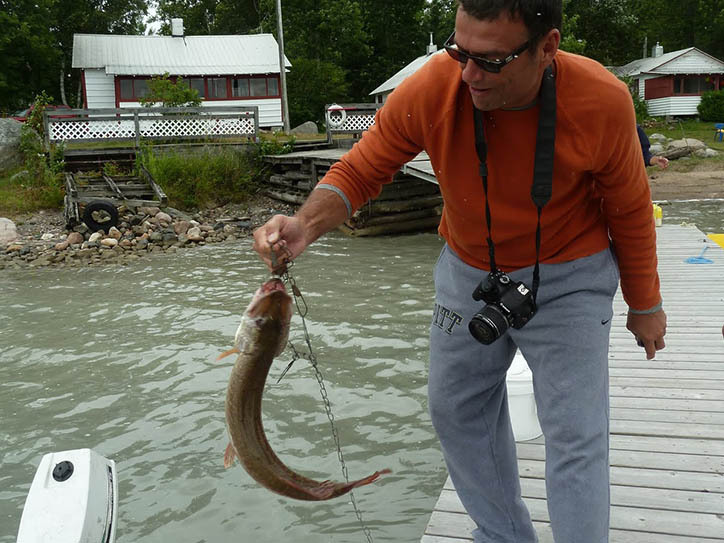 Experience our Special Fishing Package as listed with Ontario Travel. 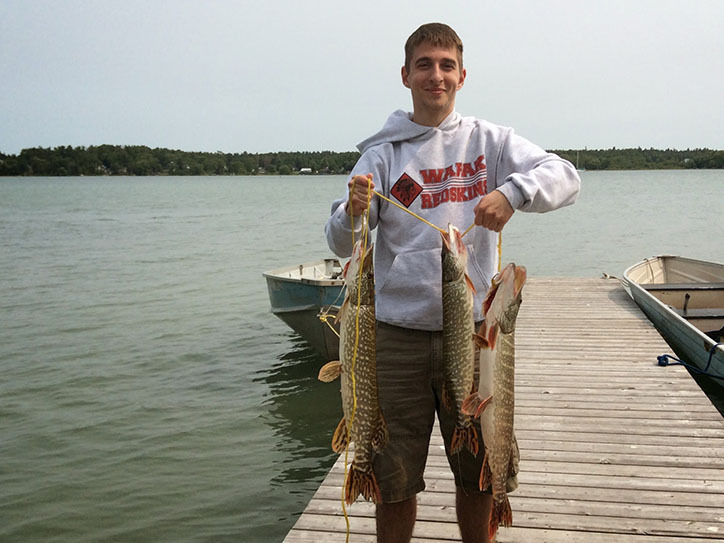 Northern Pike: They like to hang around weed beds in 4 feet – 15 (1 – 5 m) feet deep water. You can slowly troll through the weed beds with lures or you can anchor and use dropline and float ( still fish ) with live bait. 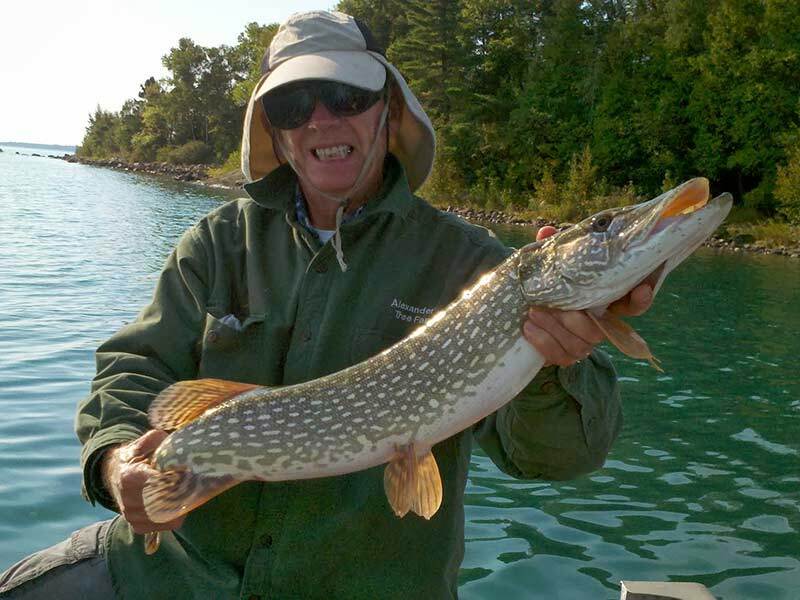 Pike can be caught along the north shore of McKay Island and they like a red and white dare devil. Walleye / Pickerel : They are bottom eaters. They must be fished as close to the bottom as possible. 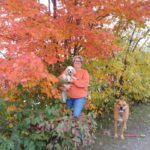 They can weigh 8 – 10 pounds ( 4-5-kg) They are found in Lake Huron and inland lakes. They travel in schools. If one strikes, stick around for others. They are usually caught with a worm on a harness (live bait). Whitefish: They are in season from April to August. They are usually 1 – 3 pounds ( 0.5 -1.5kg). 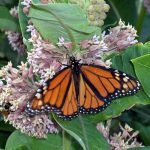 Jig with tear drops, wax worms, golden rod grubs, worms, or dry mayfly imitations. Small and Large Mouth Bass: Pound for pound, bass provides for some of the best action. They cluster near rocky shelves, in channels and over shoals in open bays and lakes. The large mouth bass is a warm water fish while the small mouth bass prefers clear cool lakes. Yellow Perch: They are an all season fish. When they are biting you can hit two at once. The jumbo size perch offer a challenge to the angle to successfully land it. They are very tasty but have lots of bones. 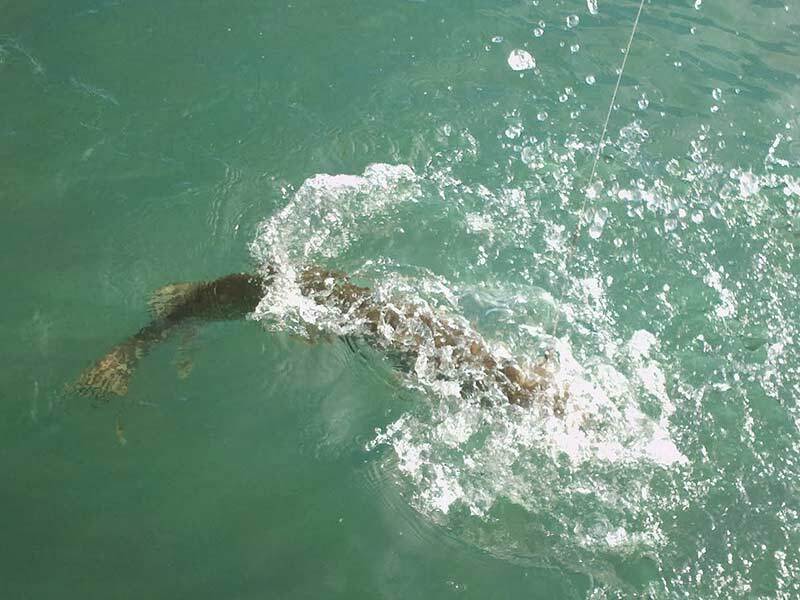 Chinook Salmon: Their season is April to June and August to October. They are found in the North Channel of Lake Huron (off McKay and French Islands) and the St Mary’s River. Their average size is 1 – 20 pounds (0.5 – 10kg). They are caught by trolling slowly with lures. Pink Salmon: They are in season August to September in the ‘odd’ years. They are found in the North Channel of Lake Huron (off McKay and French Islands) and the St. Mary’s River. They cab be caught by spin casting with lures, pixies and buzz bombs. 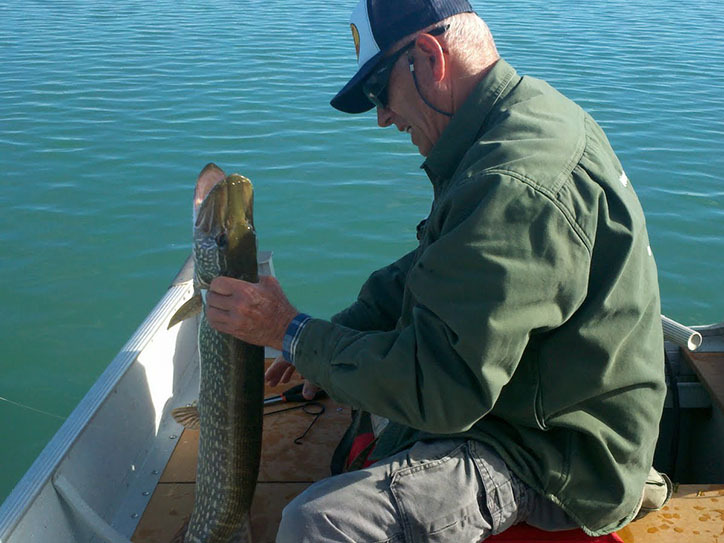 Your catch can weigh between 2 – 4 pounds ( 1-2 kg). 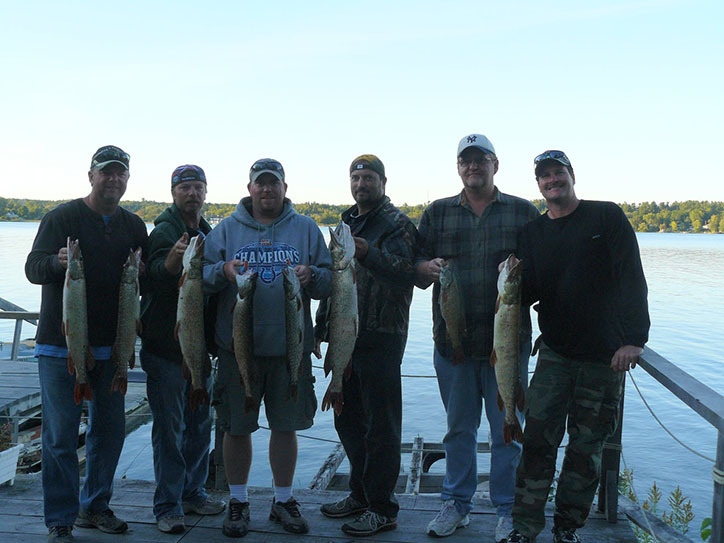 Lake Trout: The biggest member of the trout family. They swim in deep cold lakes. However, they swim also in shallower areas in the springtime shortly after ice-breakup. In the summer, use heavy tackle and wire line for the deep water.